What comes to mind when you hear the name “Les Paul”? Maybe the iconic guitar, launched at the dawn of rock and roll and played by many of music’s most talented guitarists. Or perhaps you think of the musician, the performer, the songwriter – or the man who invented the aforementioned Gibson guitar, multi-track recording and a host of other musical innovations. Though most don’t know it, the truth is, Les Paul was all of these. Music journalist Jim O’Donnell, author of several musician biographies, and whose work appears in the Rock and Roll Hall of Fame, interviewed Paul four times in the early 1990s, and finally in 2007. 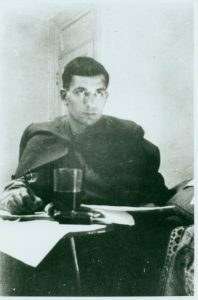 Now, four years after Paul’s death in 2009, these interviews finally have been collected and published for the first time. O’Donnell’s thoughtful questions and deep familiarity with Les Paul’s work bring depth to these interviews. In them, Paul takes us to the old Epiphone factory, where on Sundays, working alone, he developed the electric guitar, and even further back, to the initial idea. We get glimpses into his musical beginnings and childhood experiments in sound. He discusses the many well-known (as well as lesser-known) musicians with whom he played, recording contracts, and his relationship and musical partnership with Mary Ford. He even gives advice for buying a guitar, and shares his thoughts on what’s necessary to succeed in the music business – or any business. His good humor and warmth come through. In these interviews, Paul is very forthcoming with the answers to O’Donnell’s questions. These aren’t softball questions either; most of them go deep into the man’s memories, history, and his feelings about contributions and legacy. Paul’s kindness to, and appreciation for, his fans is apparent. Some musicians, given the kind of success he enjoyed, would have withdrawn from public life and refused autographs, but this sort of thing was not in Paul’s nature. After his performances in small clubs, he would always venture off the stage to speak with fans, sign autographs (once, even on a Fender guitar! ), and spend time with those to whom he owed his popularity. It’s also remarkable how many physical setbacks Les Paul had – depsite bypass surgery, a shattered arm, a serious electrical shock, and debilitating arthritis, he somehow always bounced back and kept his determination to keep on improving himself, his music and his inventions. It’s inspiring. Right up to the end of his life, Paul was an innovator, always continue to develop guitars, recording and sound technology. He talks about these late projects in some detail. The book finishes with an article, “Les Paul, Rock Star,” a great overview of Les Paul’s life and work. I wish I’d read it before the interviews. 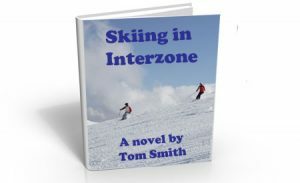 The book’s initial interview starts off with a discussion of the “Log.” I didn’t know what that was, though was able to puzzle it out as the interview progressed. “Les Paul, Rock Star” explains that and more (the “Log” was the prototype for the electric guitar, made from a 4×4 piece of wood). Though the interviews are easy reading, for the reader new the history of Les Paul’s groundbreaking invention of the electric guitar, this ending piece may be worth reading first. These interviews offer valuable insight into the mind and life of one whose contribution to modern music is immeasurable. Readers interested in music history, guitars, sound recording, or the life of a remarkable and inspiring man will surely enjoy Les Paul: The Lost Interviews. 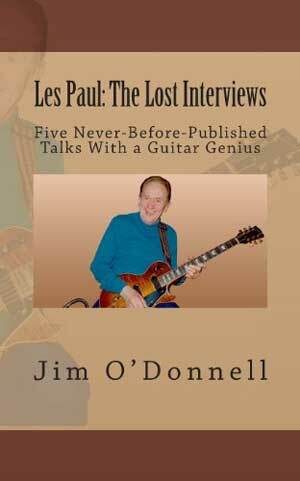 Les Paul: The Lost Interviews is available in paperback and for Kindle.